Zoe Edge – Sports Career! From an early age I was always interested in sport, my cousin who is 5 years older than me was doing well in sports at school he was having trials for a county team. 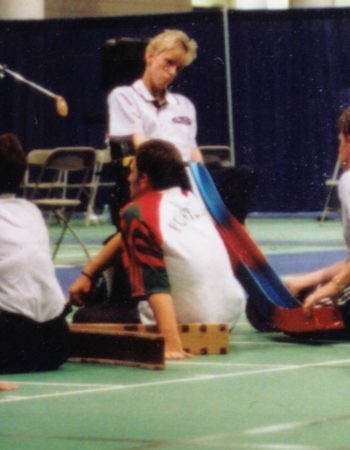 Back then Wayne was my hero, everything that he did, I wanted to do and I wanted to take part in sport. I was 8 years old when I started competing in swimming at regional and national level. 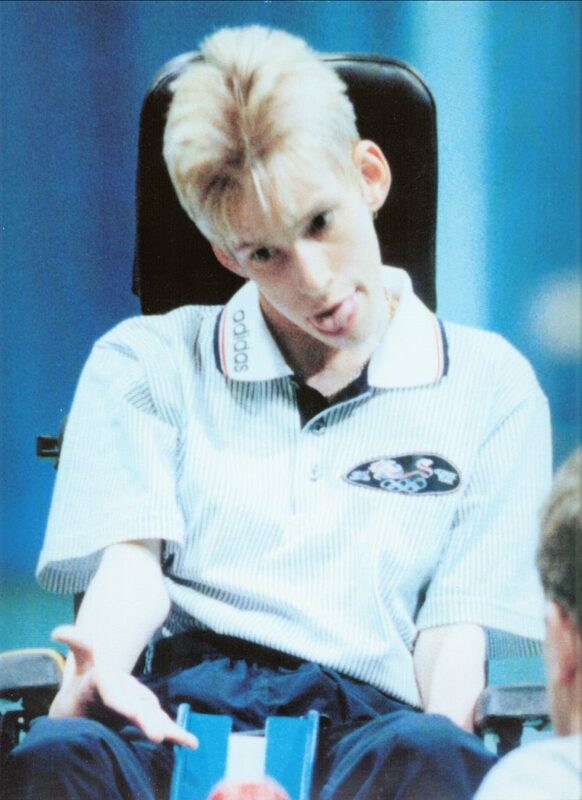 I think I was about 10 when I won my fist national competition. 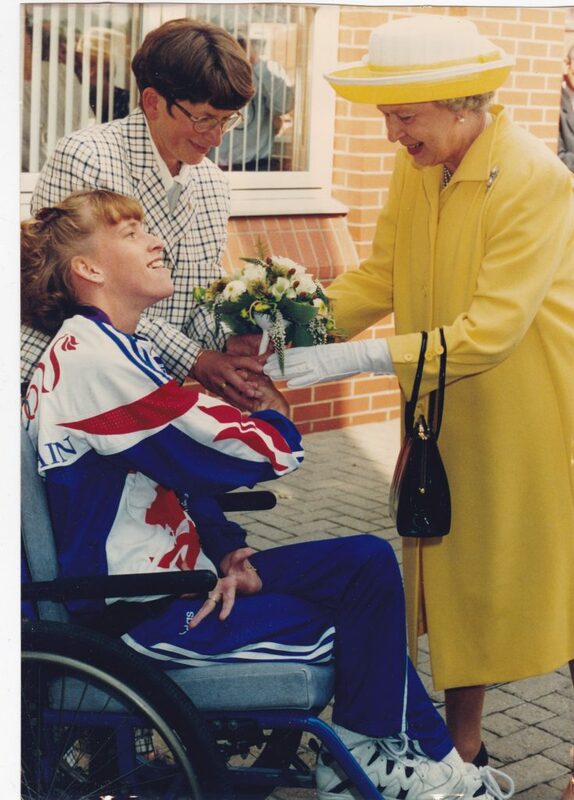 Then I started competing in Athletics and I was the top woman at wheelchair slalom in England for 5 years. 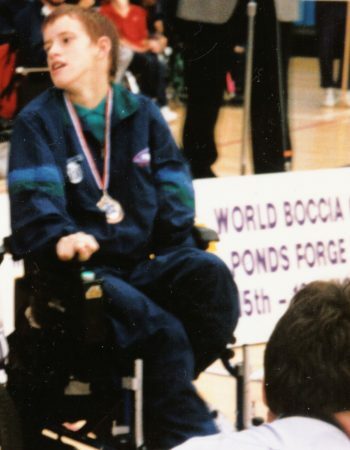 I started playing boccia and competing at regional and national level when I was 12 and I went to my first international competition at the age of 14. 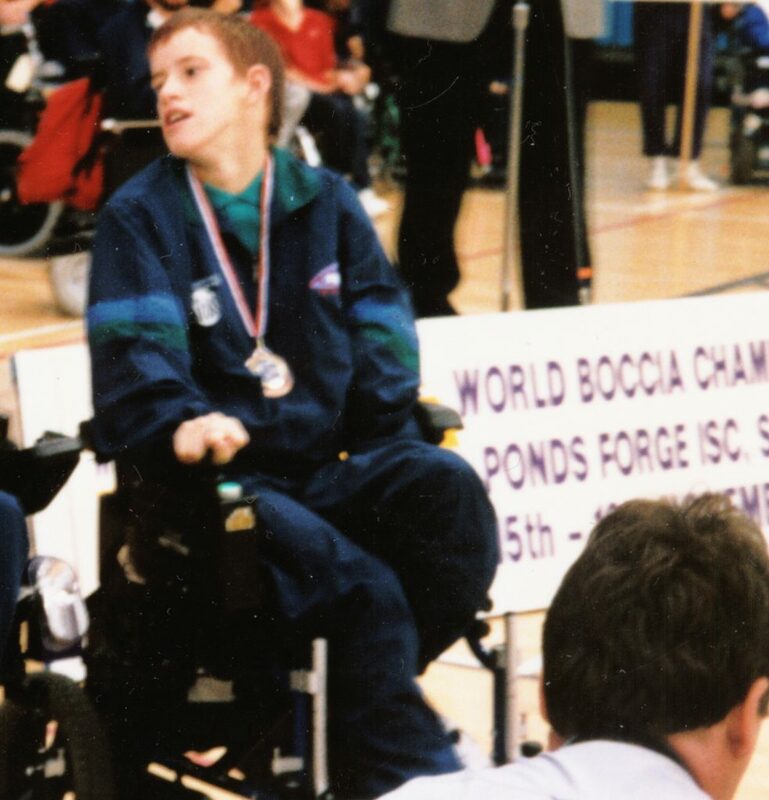 I then went on to play Boccia for 17 years, I competed in 13 International competitions, that gave me the chance to travel all over the world. I’ve competed in countries through out Europe, New York, Atlanta, Argentina, Australia and New Zealand. I’ve met many people from different countries and I’ve made many good friends through sport. 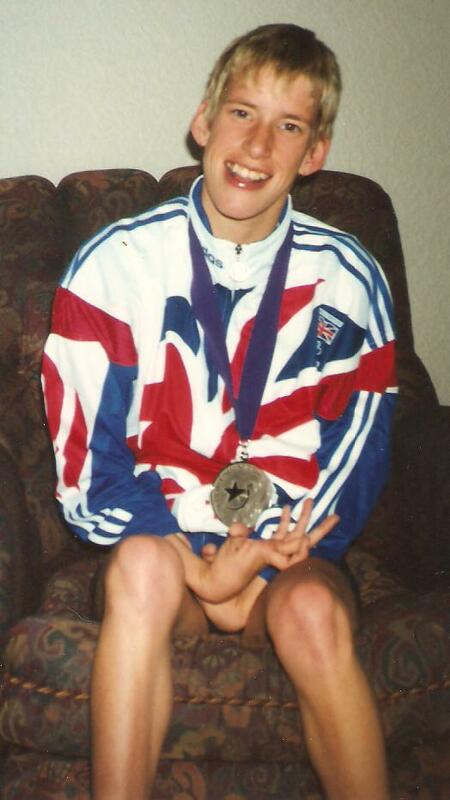 To reach the top in sport was very hard work, I spent many long days training, travelling and fund raising. I could never have done and achieved what I have without the dedication and endless help and fantastic support from my family and friends. 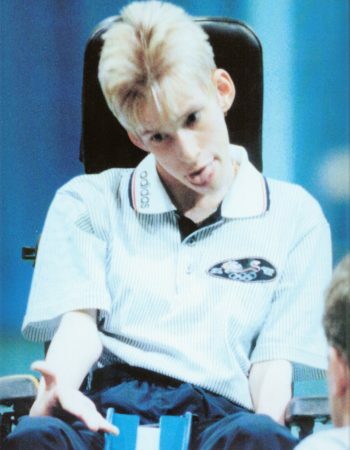 I have achieved so much through my career, winning numerous National medals, certificates and awards in swimming, athletics and boccia. 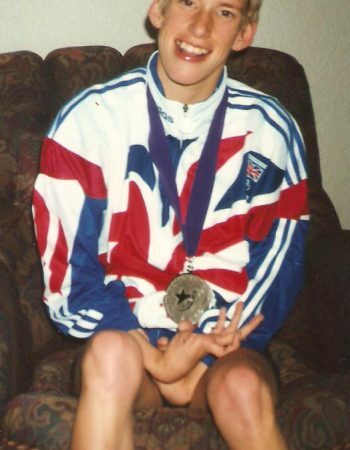 I’ve won 4 International medals. 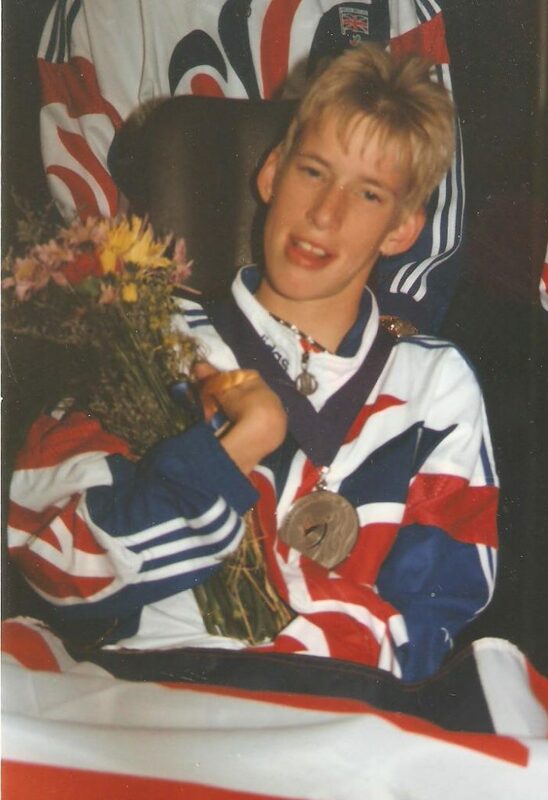 My greatest achievements were winning a Bronze World championship medal and a Paralympic Silver medal. Through taking part I have been invited to special award presentations and receptions, one of these was at 10 Downing Street. 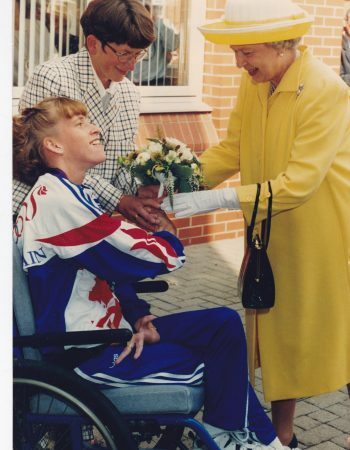 I’ve also met many Famous people, including the Queen and most of the royal family, Cliff Richards, Denise Lewis, Mary Peters, Steffi Graff, Garry Liniker and many more. 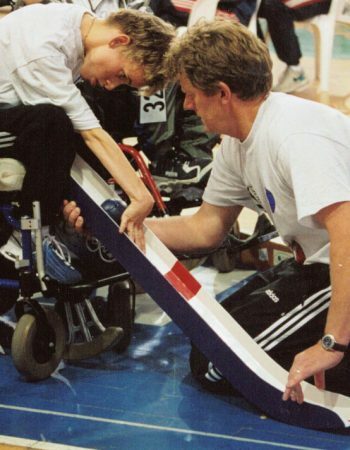 Over the years I’ve had lots of enjoyment through taking part and it has given me lots of determination, confidence and help me to believe in myself. It has taught me things I needed to learn to become a good person in life. 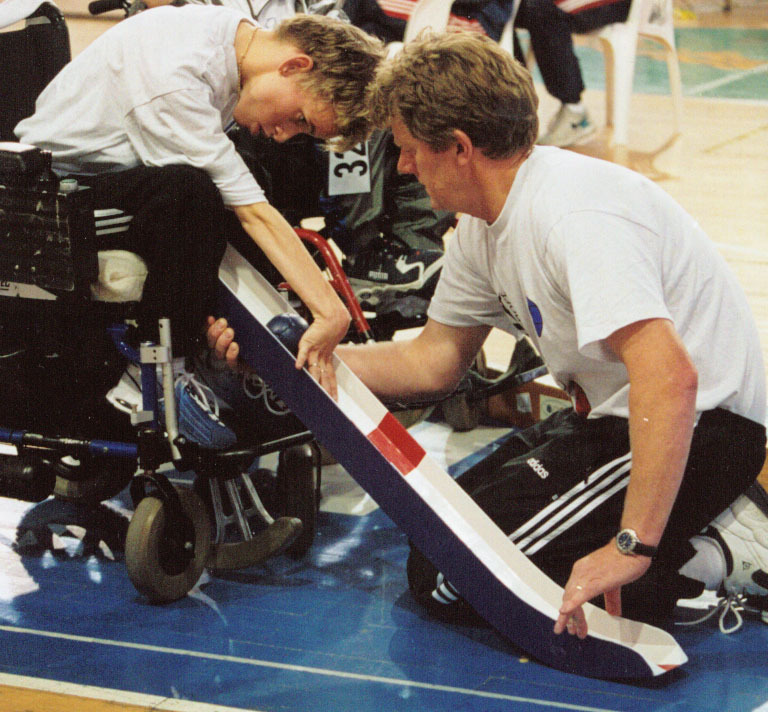 Through sport I have learnt how to discipline myself and how to have self control. 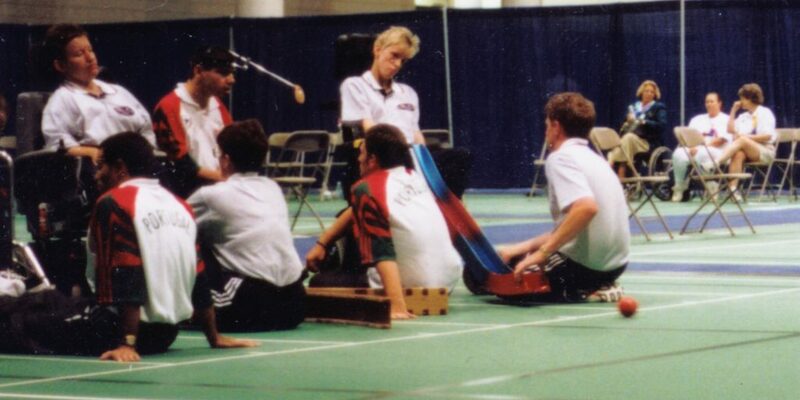 To be a good sports person you have to be very, very competitive, but you always have to respect the person you are competing against, respect your team mates, your coaches and your referees. Most importantly you have to respect yourself, behave in the right way and if you earn your respect everyone will give you double back. In sport you also learn to take on many responsibilities not only for yourself but for your team mates as well, especially when you are the Captain of the team. David Beckham said, “It is every sport person’s dream to Captain their country and how he had lived the dream and it was always an honour to do it.” I too have lived that dream for over 10 years and every game was an honour for me. 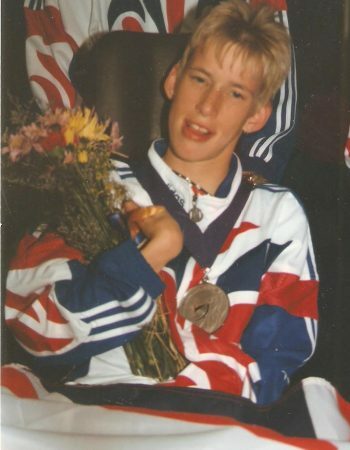 I have also lived the dream of winning a medal at the Paralympics Games, the highest sports event I could ever compete at. I am extremely grateful that I have been able to take the opportunity to do all this and I am eternally proud of all my achievements. I remember a coach telling me when I was young “IF I was scared to fail, I’d never be a winner!” and yes it’s true, not only in sport but in life too, I will fail sometimes, but I know I’ll always be a winner because that’s the kind of person I am.